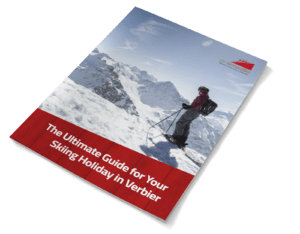 Switzerland, the land of chocolate, cuckoo clocks and yodelling, is also synonymous with perfection and is highly regarded as one of the World’s top skiing destination. Quality in Switzerland is universally high (think big brands such as Rolex, Tag Heuer and Lindt) and this pocket-size Alpine nation simply oozes class (think high profiled celebs such as Roger Federer and Ursula Andress). Quality also extends to the skiing, as Switzerland has been relatively untouched by development thanks to innate Swiss conservatism and environmental considerations. With a combination of Majestic Mountains, quintessential Alpine charm, high-altitude Ski Resorts, superb ski school tuition, luxurious catered chalet accommodation options and incredible mountain restaurants… you’ll be hard pushed to find a finer skiing holiday destination than Switzerland. Do you know your Rosti from your Raclette? Or your Älplermagronen from your Birchermüesli? Fear not, we have the lo-down on all our favourite Swiss dishes. Melted cheese with bread cubes. The bread cubes are picked up on the fork and swivelled in the melted cheese, which is served in a traditional ceramic fondue pot called ‘caquelon’. Melted cheese served with “Gschwellti” (jacket potatoes), cocktail gherkins and onions. A kind of gratin with potatoes, macaroni, cheese, cream and onions. And most importantly, stewed apple on the side. A flat, hot cake made of grated, cooked jacket or raw potatoes and fried in hot butter or fat. The dish is bound by nothing apart from the starch contained in the potatoes. Developed around about 1900 by the Swiss doctor Maximilian Oskar Bircher-Brenner, it contains oat flakes, lemon juice, condensed milk, grated apples, hazelnuts or almonds. The Swiss have always maintained and nurtured their own local customs and, because of this, Switzerland is a country with an enormous wealth of cultural activity and living tradition. Swiss folk music is more of a collective imagination that includes such phenomena as alphorn music, Ländler music, and yodelling. The Alphorn is regarded as a typical Swiss instrument and has since become a national symbol. As for yodelling, it was developed as a method of communication between mountain peaks and later became a part of the traditional music of the region. Yodelling is fun, and fun is good. From the Coo Coo Clock to the Swiss Army knife, Haute Couture textiles to watchmaking, the Swiss have a varied and extensive arts and crafts heritage. Today, 95% of Swiss watches are destined for export and the watch industry is a key export industry…and they must be doing something right as Swiss watch brands include; Rolex, Cartier, Breitling, Hublot, Omega, Tag Heuer and Tissot… to name just a few. Landlocked between France, Germany, Austria, Liechtenstein and Italy, Switzerland is easily accessible and well linked. Whether your desired method of travel is trains, planes or automobiles, you’ll be in your own private chalet sipping bubbles on the balcony in no time at all! Why not arrive in style and take advantage of our private transfer? We will happily arrange for your private mini-bus to pick you up from the airport/train station, and whisk you up to your favourite ski resort.